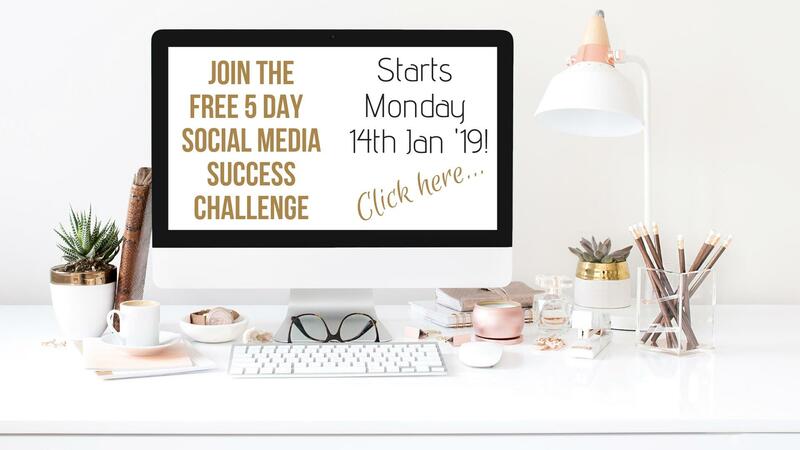 Social media is a great forum to build awareness, connect, communicate, serve and support your tribe so it's time to get creative! 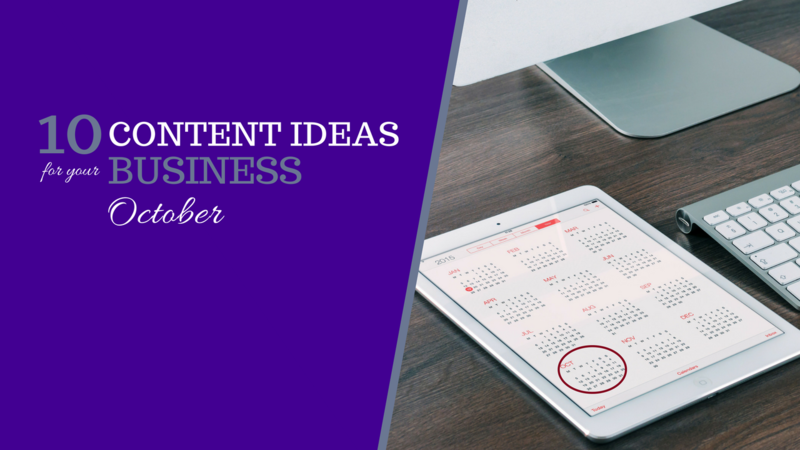 If you are looking for some inspiration, here are 10 great content ideas for the month of October to include in your calendar. This is a great foundation for your October content and will take the stress out of your monthly post planning. Welcome to SPRING for those of you in the Southern hemisphere, and for the Northern hemisphere, happy AUTUMN! Lacking inspiration for social media content on your business profiles? Here are 10 great content ideas for the month of September to include in your content calendar. What is the best time of day to post, how often should we post and does a particular type of content work well at particular times of day eg video, image, link etc. It’s the last month of Winter! Wrapping up and end of a season can be exciting. In Australia, we are gearing up for everyone’s favourite time of year – Spring!! 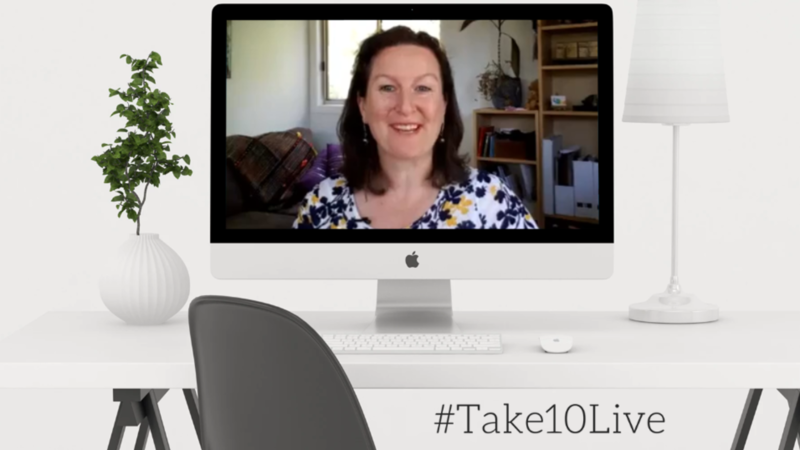 In today's #Take10Live I cover two of my favourite Facebook Hacks for small business. 2. Using symbols in Facebook posts to make them easier to read and more visually appealing. As of tomorrow, 18th July, Facebook is making major changes to link posts. This will have an impact on any content you have scheduled and future posts where you may want to edit how the link post looks. You will no longer be able to edit the image, the title or the summary (description). Today's Take10 LIVE is all about when to put money behind a Facebook post and whether to use the Boost Post button or Facebook Ads Manager. I've answered the questions in the video, but here are the highlights and a few extra tips! We are half way through the year. How's your social media planning and scheduling going? Have you managed to plan a month ahead yet? If not, take a moment out of your day to get organised. Here are some content ideas for July to get you started! 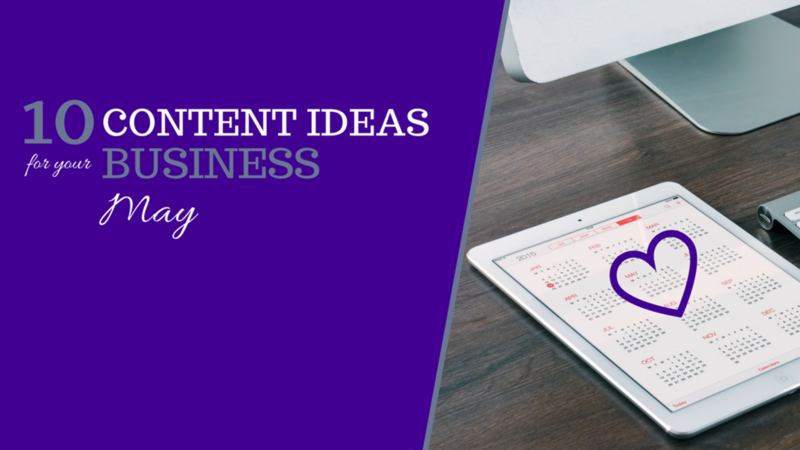 Are you struggling to fill your content calendar this month? Here are 10 snappy ideas to add to your social media content calendar for June 2017. It's a great idea each month to drop these into your content calendar as the first step in planning your monthly content. Lacking inspiration for social media content for your business profiles? Here are 10 great content ideas for the month of May to include in your content calendar. If you need help developing your content calendar, I have a cool little toolkit to help you out.